It is a horrible sensation for a football fan when they feel their club has hit a glass ceiling. It is even more galling when a rival, in spite of the problems of their own, appears capable of smashing through and achieving success. With the benefit of hindsight after the result, rival fans and pundits declare that there is ‘something missing’; it might be nous, experience, ruthlessness or just blind luck. They use it as a stick to beat the losers with and it heightens the feeling that – especially if success has been absent for a while – that it will never return. 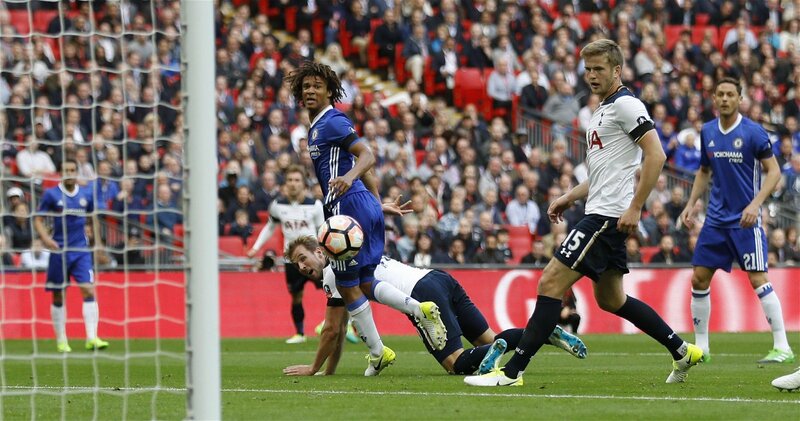 That brings us to last season’s FA Cup semi-final between Chelsea and Tottenham. At the time, the opponents were separated by just four points in pursuit of the Premier League and it was Mauricio Pochettino’s side with the momentum. Their confidence was growing. So concerned was Antonio Conte that his Blues side might blow their league lead that he rested talismen Eden Hazard and Diego Costa as earning a place FA Cup final played second fiddle to securing the title. Spurs had lost the last six times they had reached the last four of this famous old competition – a typically ‘Spursy’ record, but Pochettino was working tirelessly to remove their mental demons. Some might think that the absence of Chelsea’s two most potent forwards would have given Tottenham a boost in pursuit of their first FA Cup final since 1991, but it actually served as a precursor to an even more galling defeat for Mauricio Pochettino’s men. Defeats can sting but it is often the manner of them that leaves a lasting impact. A two-goal defeat to the runaway Premier League leaders shouldn’t, in and of itself, inflict a deep psychological blow. It was how Chelsea did it. Pochettino tried to match Conte’s three-man defensive strategy, but used Son Heung-min as a left-wing-back in the absence of Ben Davies. The South Korean gave away a penalty just before half-time, showing his defensive inexperience, which was converted by Willian to make it 2-1. On the day, Pochettino got that one wrong but Spurs didn’t err often elsewhere. They had already come back from an early blow to equalise after 18 minutes and when Dele Alli made it 2-2 seven minutes into the second half, only one team looked like winning. Just as it did in defeat against Juventus this season, playing so well only served to intensify the pain of Spurs’ eventual defeat. It is after Chelsea’s two-goal five-minute flurry to say that they possessed the necessary ruthlessness to win through, but they were genuinely on the ropes during the second period. The nature of Nemanja Matic’s goal, in particular; an unstoppable bolt from the blue from a player who seldom scores makes it feel as if there was nothing Spurs could have done to prevent themselves losing. That they are destined to be ‘Spursy’, despite all the changes Pochettino has brought about. That, of course, is nonsense, but once a psychological barrier manifests itself, it can be an absolute nightmare to shift. The ruthless nature of Chelsea’s victory only served to feed the sense of impotence further. Spurs, have, of course engineered another shot at the FA Cup final as they take on Manchester United at Wembley – their temporary home – on Saturday. Jose Mourinho’s functional Reds are becoming like Chelsea; a filthy-rich club with a dressing room full of egos that grinds out trophies that other sides cannot win even at maximum capacity – almost in spite of themselves, certainly behind the scenes. Is it better to be an almost joyless machine, accumulating trophies, or a team that thrills its fans throughout the season but just about fails to secure silverware? Do those days in the sun, parading a trophy around, make up for months and months of uninspiring football? This Tottenham team is a wonderful beast; young, flexible, energetic, exciting to watch and managed one of the hottest properties in world football. If they play this match like they approached the league match in January, they will win. But that psychological barrier persists. The prospect of losing eight FA Cup semi-finals in a row looms large. Mauricio Pochettino needs a trophy, as much as he protests otherwise. In truth, in an era when style and success have become ever more mutually exclusive, fans will cling to whichever option their club is able to provide. Tottenham supporters will hope that, come May, having seen off United to reach the final, they will no longer be faced with the conundrum. They will finally have both style and silverware if they can finally smash that glass ceiling.